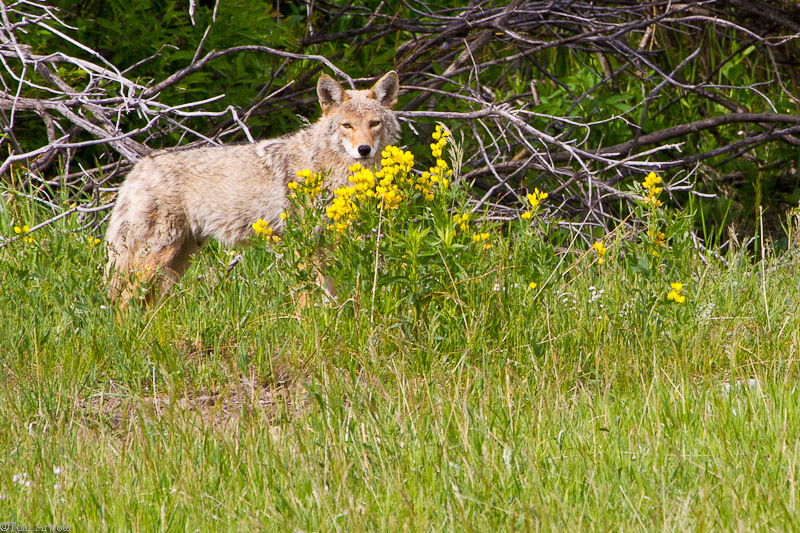 Coyote- Fairly common, there and even here in Ohio. Notice it's posing behind Mountain Goldenbanner! Best guess? 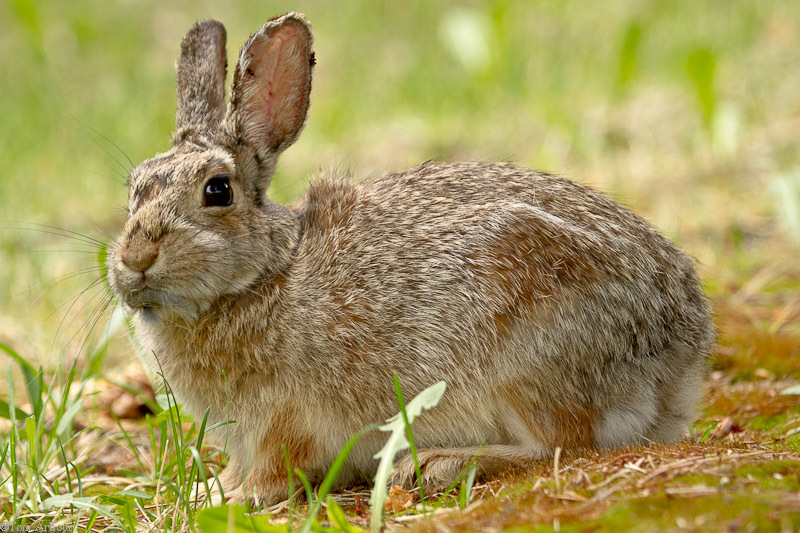 The Mountain Cottontail. Any rabbit experts out there? Does this one have enough hair in its ears? This one was hanging out near our condo. 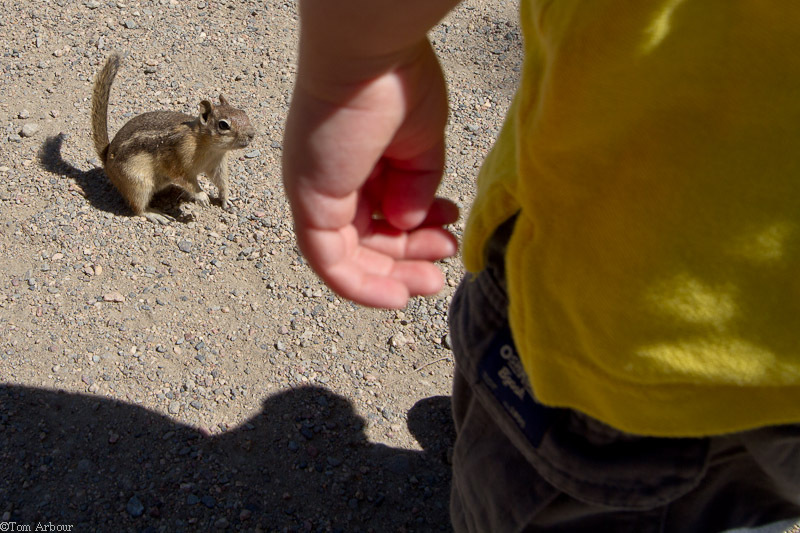 The golden-mantled ground squirrel that prompted Weston to say his longest sentence that I've heard to date. "Hi Squirrel- How are you?" I was dumbfounded. These things are RIDICULOUSLY tame, they're used to being fed, but there are plenty of signs that say "don't feed these squirrels!" 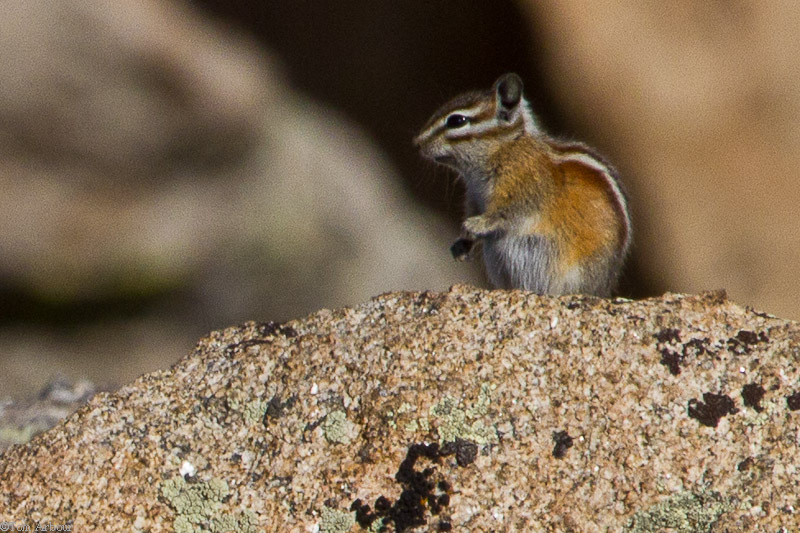 Higher up in elevation I found these interesting chipmunks. I believe this is the least chimpmunk, which can be found throughout the park. 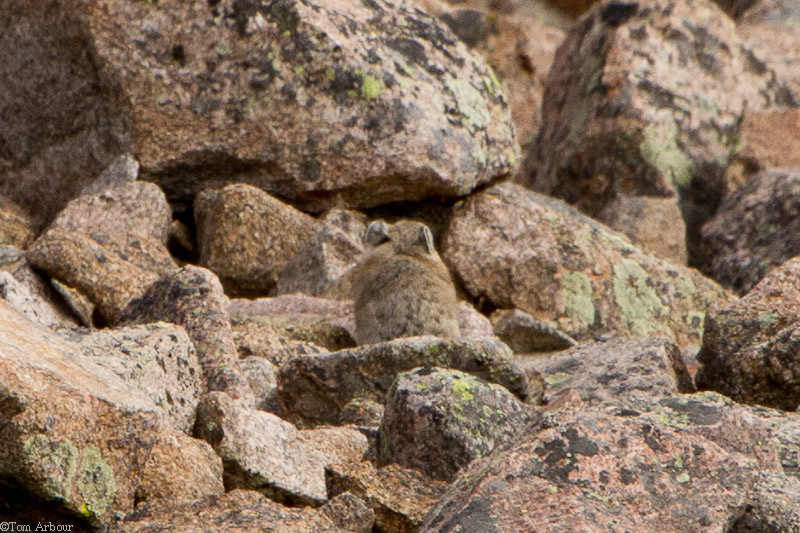 And here is my Holy Grail picture- A pika. I was hoping for a better photo- can you see it? 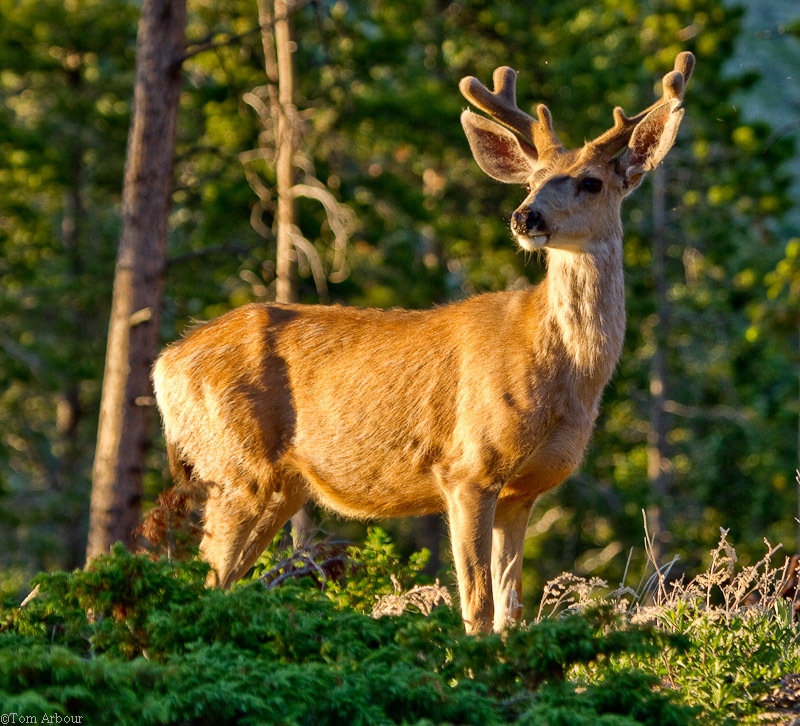 And finally- the mule deer- this buck in velvet was hanging around during the wedding rehearsal dinner. I took this shot just as we were loading the kids up in the car- I literally had put my camera into the trunk when it came into view. Magic moment, right time, right place, and I had my camera! During July (and August!) 2011, I'm writing about my late June trip to Rocky Mountain National Park. I hope you enjoy this brief exetnded swing to the western U.S.
Labels: mammals, rocky mountain national park. Marvelous pics! Love the furry creatures especially. I've seen one like this in Yellowstone Park, a long long time ago. Beautiful scene! Nice picture!